Mcdonald's Hello Kitty Fairy Tales is here! 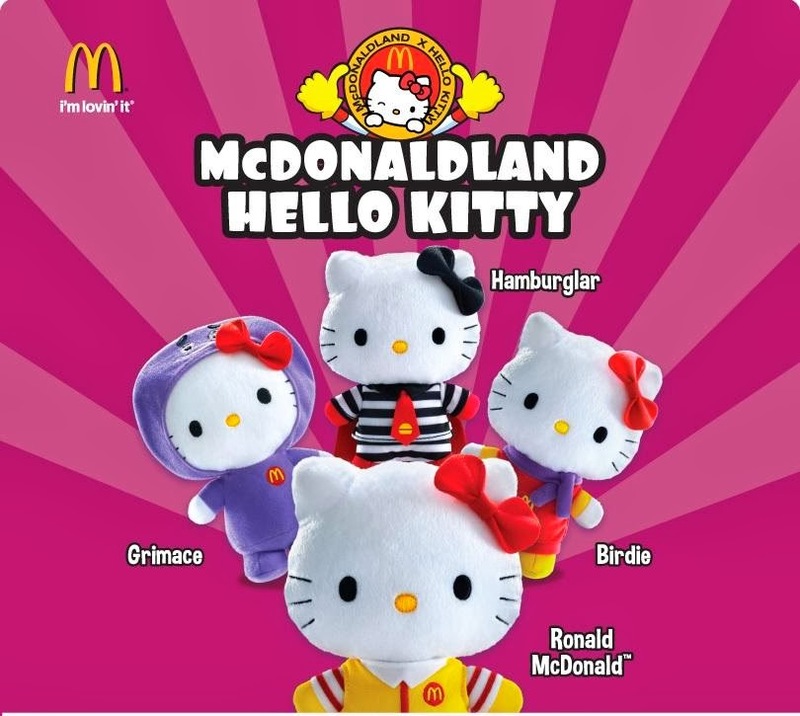 Second batch of Hello Kitty plush toy from McDonald's will be out soon. This time, McDonald's is bringing you Hello Kitty Fairy Tales with 5 different types of plush toys- The Ugly Duckling, The Frog Prince, Wizard Of Oz, Little Red Riding Hood, and The Singing Bone. This batch of hello kitty is similar to the batch launched previously in Singapore which make Singaporean gone crazy about it. 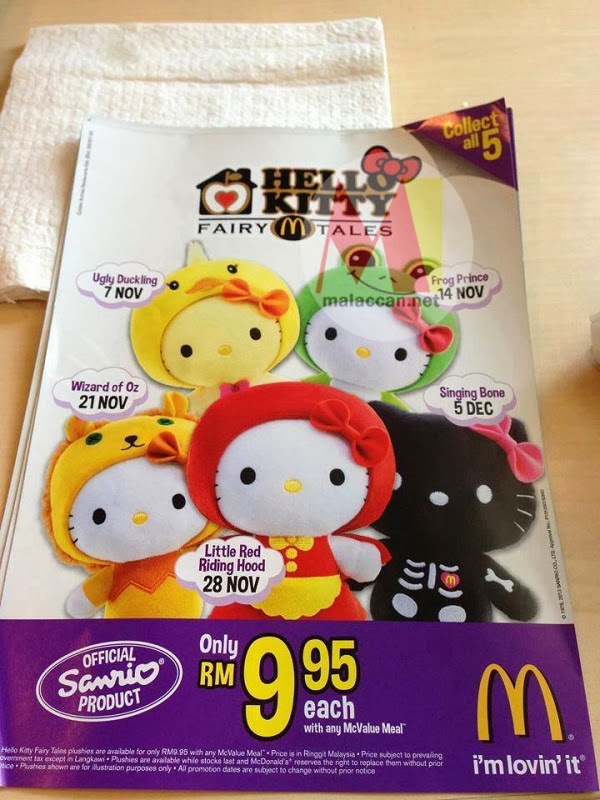 McDonald’s Hello Kitty Fairy Tales will be available for purchase from November 7th onwards till December 5th at RM9.95 each with any McValue Meal. Date release for each plush toy is as per below. This was the previous batch released in Malaysia around April and May 2013.